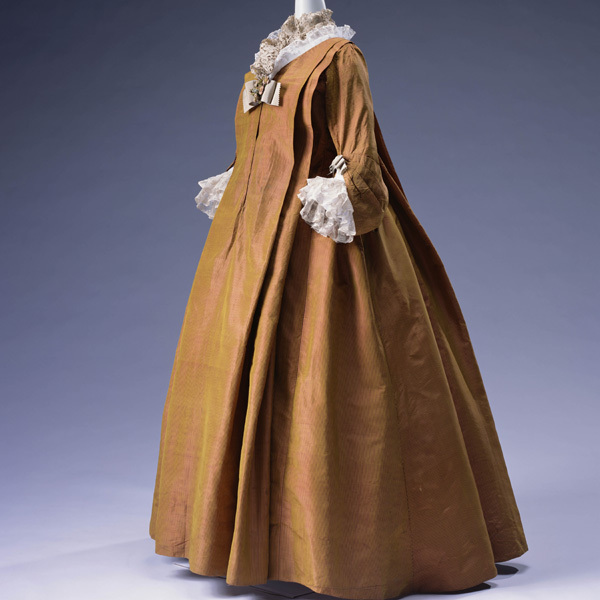 Red silk and gold threads brocade with plant motif; matching stomacher and petticoat. 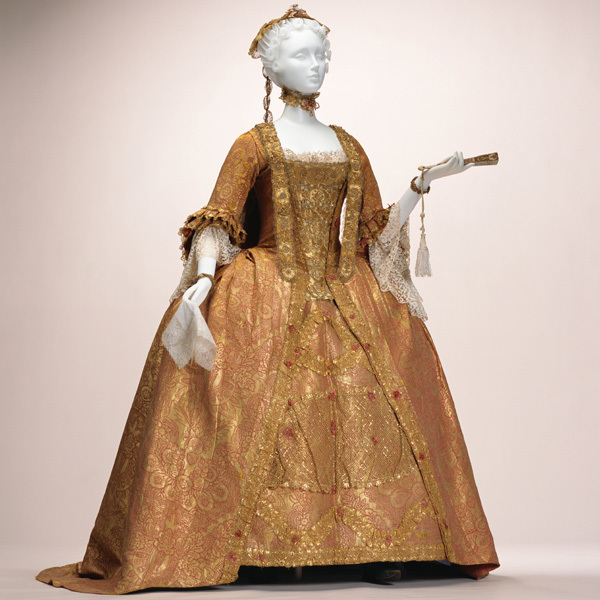 Sumptuous court dress glittering with gold. 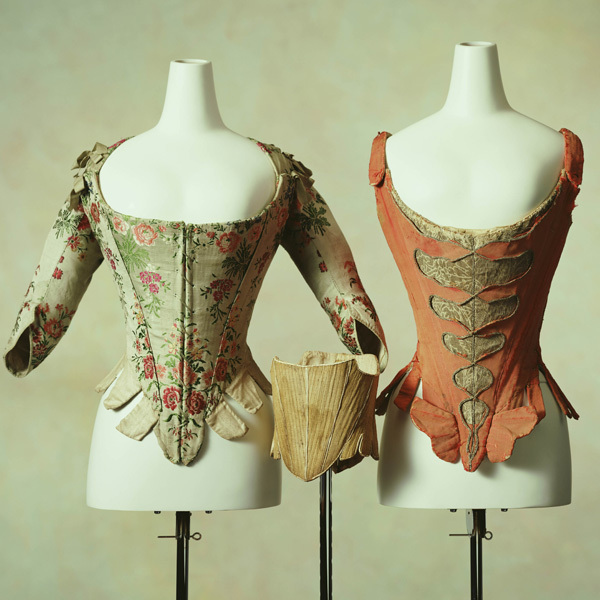 The stomacher worn over the breast was the most eye-catching part of 18th Century women’s court dress. 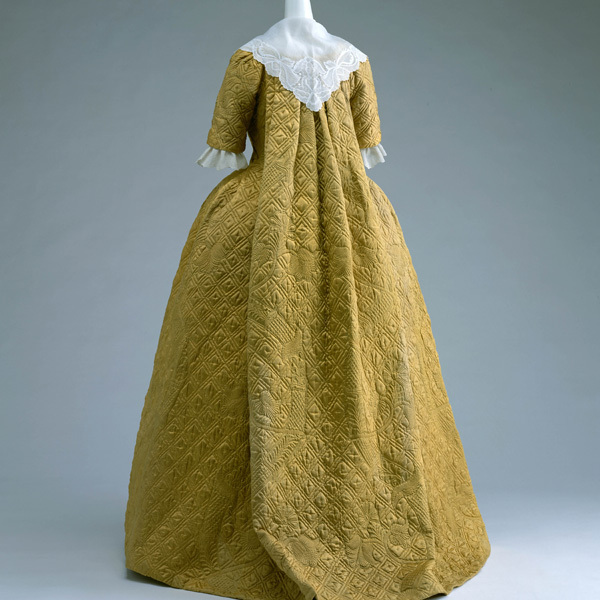 Here it is totally covered with gold lace and shining gold thread appliqué. 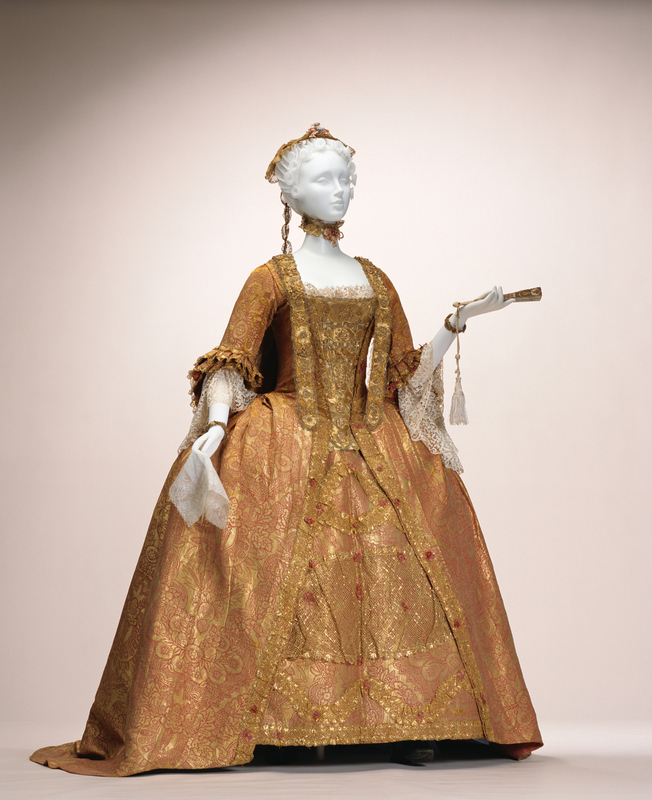 The gown and petticoat also feature lavish use of gold thread lace (metal lace) decorations. 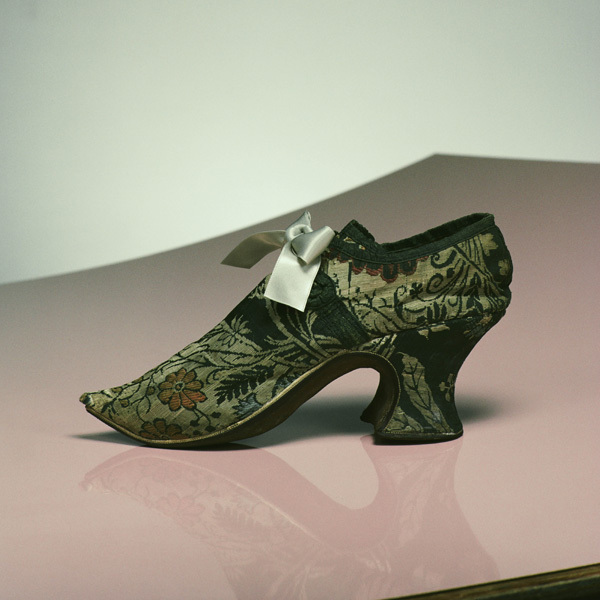 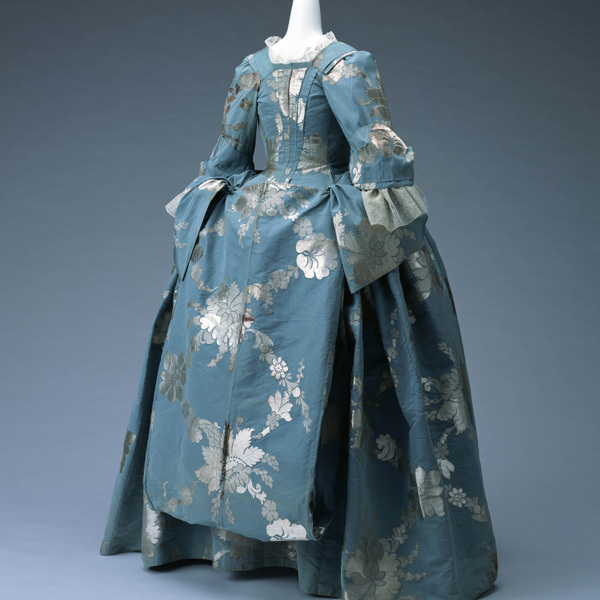 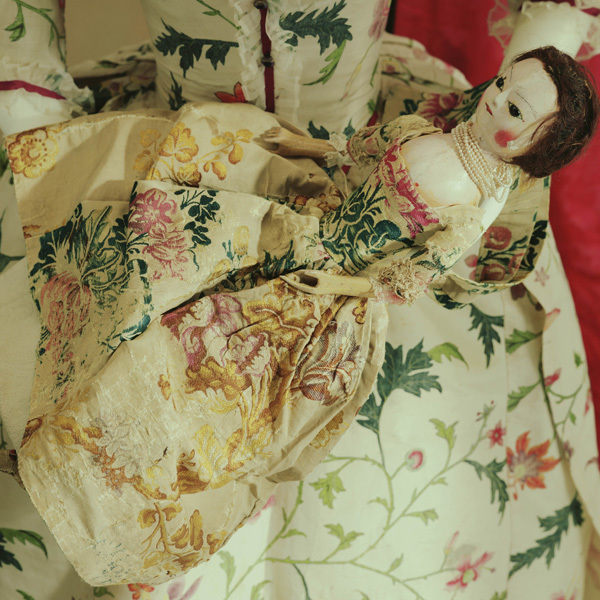 The textile for this dress was made in Venice, which was flourishing as a production center for gorgeous silk weaving. 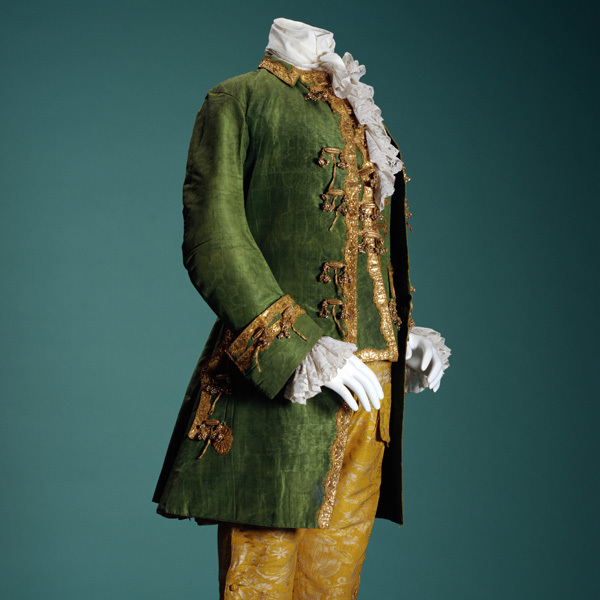 The weft threads that produce the pattern utilize two gold threads with one yellow silk thread. 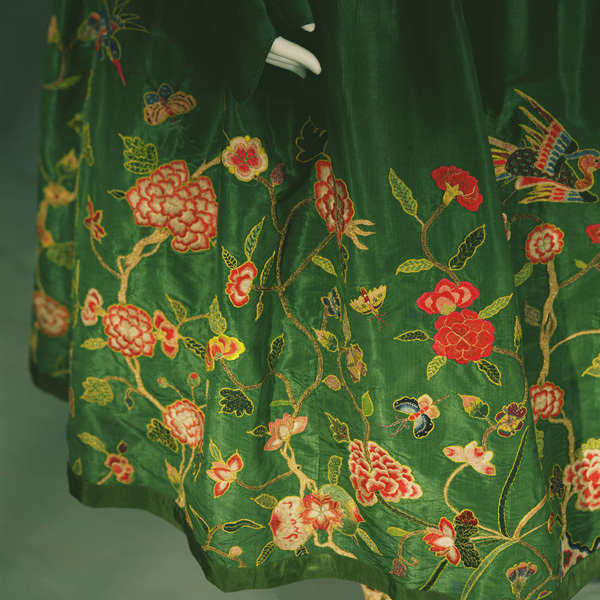 The yellow silk threads become the base fabric, and the gold threads interlace with warp threads that are separate from those of the base fabric, so that the pattern is hidden on the underside. 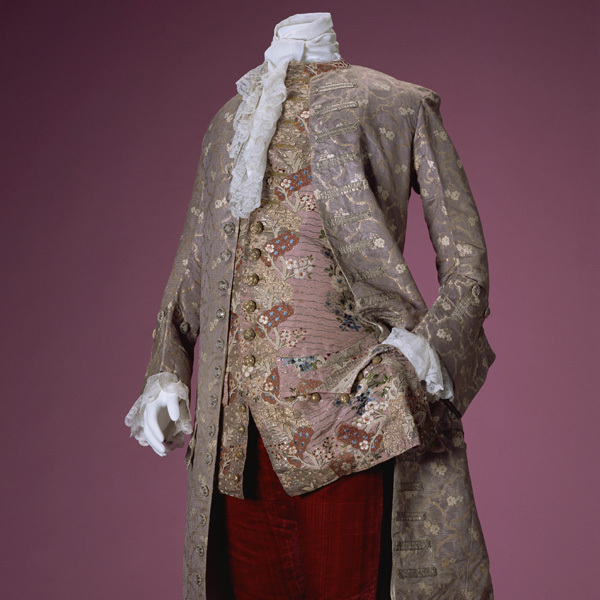 This is a complex approach requiring sophisticated techniques, attesting the luxury of this garment. 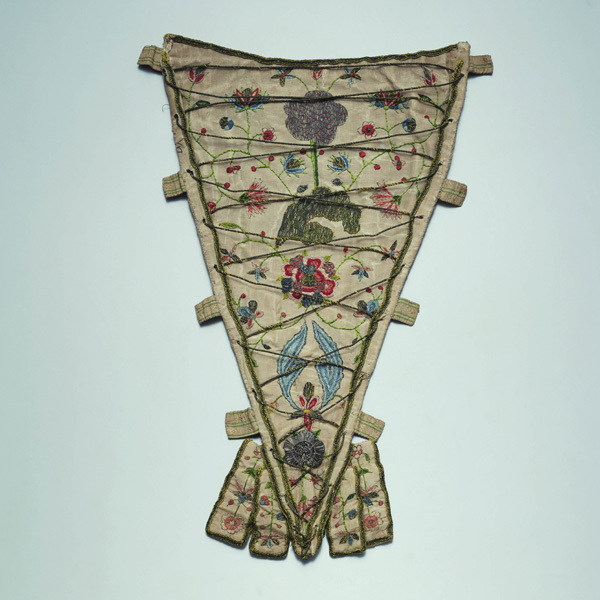 The Ottoman-style patterns resemble plants such as carnations and pomegranates, symbolizing the wealth brought by trade through Venice’s role as a center for communication and commerce between east and west.